We are a leading Manufacturer of xyz stage, pan & tilt control platform, 4dof scara robotic arm, 6dof robotic arm, parallel robot and far field antenna measurement system ams20 from Jaipur, India. 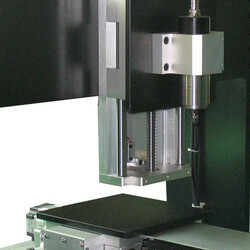 XYZ stage, together with single axis linear module and XY table belongs to Googol's NC series products. They are the basic components of CNC processing, electronic machining equipment, as well as the general platform for different scientific research, application developing and educational experiment. The XYZ stage series is designed with modularisation and industrial manufacturing standard, suitable for manufacturing fields and colleges. The accompanying software is developed based on object-oriented technology. 3 axes motion control system main functions and G code compiling DLL are all included, which will realize different single-axis motor motion modes (S curve, T curve, speed mode, electronic gear mode) control, 2/3-axis interpolation or synchronizing controls. In addition, it provides abundant graphical interface, which displays curves of the motor parameters (speed, acceleration, position) in real time. Moreover, it displays real-time platform simulation and actual motion trajectory. Users can choose different experiment modules according to different experiments need, and this greatly facilitates their educational experiments and research work. Modularized structure thus can be used as single-axis linear modules or XY tables. Modularization in mechanical, electrical components and software, easy for research and extension. PC + motion controller control mode is adopted for flexibility. Main body modularized design; PAN and TILT are independent module and can be assembled easily. It can be controlled independently or coordinately. The product adopts AC servo motor and harmonic reducer, which not only guarantees the stable performance of the platform in low speed but also provides fast dynamic response. Control system is composed of PC and DSP based motion controller. Ensure open control system and convenient extendibility. The development environment of the soft ware is based on Windows platform, which can fully utilize various visualized development tool; simplify experiments greatly and facilitate the process of research and development. The composition of rotation platform mechatronic system and basic operation of the experiment system. Use, maintenance and adjustment of AC servo motor. 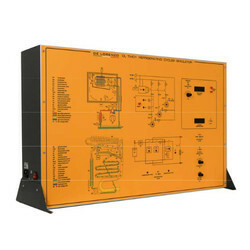 Selection and application of rotation platform controller. Programming experiment of motion controllers. Dynamic objective tracking experiment utilizing vision sensor (CCD). Tracking object in motion experiment simulated by gyroscope and follower platform. Research and design experiment on simulation of small aero craft. Each component is designed and manufactured according to industrial standard. Equipped with assembly language programming and graphic teaching software, easy to program and train. Comprehensive user manual and control demos, guiding the users to learn the development of various application systems. Tackling research projects such as remote robot monitoring, and multiple-robot coordination. 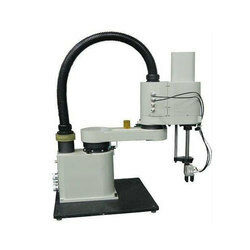 6 DOF industrial robotic arm is a typical industrial robot that is used in automatic pick and place, installation, welding, painting, etc. The new GRB serial industrial robot combines the motion control technology together with advanced educational concept and fulfills both the industrial needs as well as the education and research needs in motion planning and industrial system design. The robot uses 6-joint in serial design. 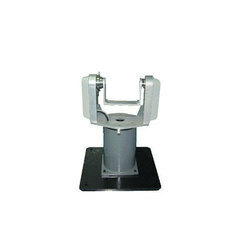 Each joint uses absolute encoder and high precision harmonic gearbox to ensure the accuracy. Camera, pneumatic tools and some other interfaces are preserved at the end effecter for user to extend the robot for other usage. The robot is controlled by the newly developed VME bus controller which integrates PC, image processing technology, logic control and motion control to achieve high speed, high accuracy control of the robot. Compared with a traditional industrial robot of equivalent functions (such as Cartesian coordinate robot and industrial serial robot), a parallel robot has the advantages of simpler structure and higher acceleration and deceleration capability. In addition, serial robots have some problems such as singularity, which can be solved by increasing redundancy constraints or adding redundant drive. Parallel robot is currently receiving a great deal of attention in industry and academic circles GPM series of redundant parallel robots is a new experiment and research system specially designed and developed by Googol Technology for research of redundant parallel robot. 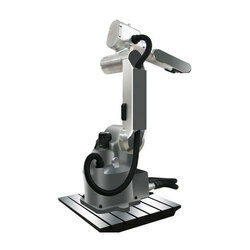 GPM can be used in robotics courses such as automation control and mechatronics to support laboratory experiment requirements in robot mechanism, kinematics, dynamics, motion planning and programming. This system can also be used in research of controlling and programming of redundant parallel robot, as well as a non-linear system with three inputs and two outputs, to research various nonlinear control algorithms and redundancy coordination control algorithms, assisting the control experiments of various automatic control theories. 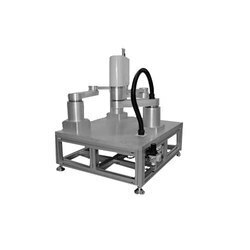 Besides teaching and research GPM series of parallel robots can also be used in developing new principles and experiment prototypes of high-speed, high-accuracy gluing and bonding machines. with respect to direct signal. 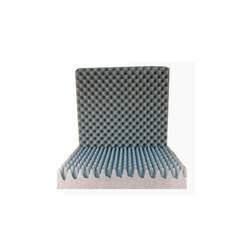 Absorbers are high performance convoluted Microwave absorbers constructed using low density, flexible foam impregnated with carbon formulation. Fire retardant and Zero halogen. Looking for Robotics & Mechatronics ?